The sixth book in the NYT bestselling Expanse series, Babylon's Ashes has the galaxy in full revolution, and it's up to the crew of the Rocinante to make a desperate mission to the gate network and thin hope of victory. Now a Prime Original series. But the new alliances are as flawed as the old, and the struggle for power has only just begun. 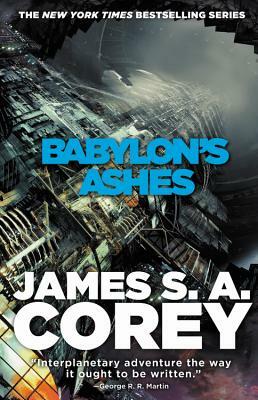 Babylon's Ashes is a breakneck science fiction adventure following the bestselling Nemesis Games. James S. A. Corey is the pen name of fantasy authors Daniel Abraham and Ty Franck. They both live in Albuquerque, New Mexico. Find out more about this series at www.the-expanse.com.